Stars: Chelsea Frei and Maurice Benard. Victoria Gotti is entering a club and a rude reporter is like “You’re dad is NOT doing well.” She then goes home to her three boys and husband and gets a call in the middle of the night it is her dad (John Gotti played by Maurice Bernard from General Hospital.) from jail. He breaks the news to her that he has cancer. The next morning the the FBI are on her lawn. Flash to 1962. Victoria’s mom, Butch Gotti, is in labor. John Gotti steals his daugher from the hospital because he can’t pay the hospital bills. Victoria (the real person) says she was royal screwed from the beginning. 1969, Victoria and her siblings visit John Gotti in jail. Victoria is a shy kid and her dad promises to make things up to her once he is out of the pen. At school, Victoria is having problems with anxiety. She has to do an oral report about her dad and one of the kids calls her dad a jail bird. (Victoria thinks he work in construction and is confused at to why everyone keeps calling her dad that.) The family is on food stamps and not doing well. 1977 and Victoria is all grown up and the family welcomes John Gotti home with Lasagna. (They are Italian, remember?) 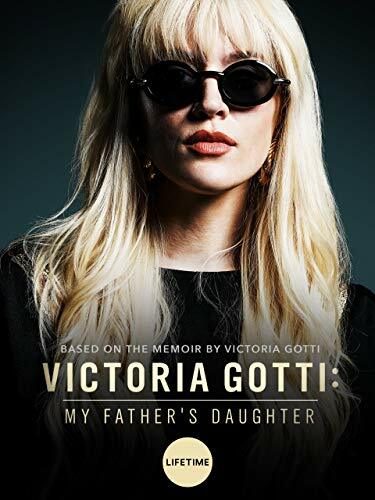 Victoria is annoyed that she is John Gotti’s daughter, she can’t date guys (they are afraid of her father.) or even go do simple things, her driving school instructor gives her preferable treatment because he is afraid of her dad. (She is a terrible driver, which is funny.) Victoria meets a cutie named Carmine. He tells her that he knows who her father is and doesn’t care. They start dating. (It doesn’t go well because John Gotti shows up and tells Carmine not to mess with his daughter.) Victoria tells her dad that Carmine reminds her of him. John Gotti is not having her date a street punk and her promises to keep them apart. John Gotti takes Victoria to her first club and it is pretty GROOVY, okay!?!? Andy Warhol is there, a disco ball, and so are all of John’s mob friends. They drink and talk about Victoria’s dreams. She wants to be a writer and have some kids, but he tells her to get cultured and travel the world. He tells her to find a gentleman and NOT Carmine. 1979, Victoria still can’t quit Carmine. He proposes to her in his car outside. (Like a true gentleman.) The police show up interrupting the moment and find a gun is Carmine’s car. The police take him into station. Victoria starts to see that Carmine is a little rough around the edges, but she is still into him. Carmine gets the crap beat out of him and finds himself in the hospital, the only medicine that will cure him is Victoria’s love. She is thankful that her dad had nothing to do with the attack, but she still fights with her dad about it, because … you know.. DRAMA! Frankie, Victoria’s little brother died in a car accident. Butch Gotti is wrecked by this news. (Rhonda Dent does a good job with this scene.) Victoria Gotti voice over tells us that her brother was hit by their neighbors car while on a bike and that her mom tried to commit suicide three times. At this point, Victoria took over raising her siblings and household duties. Carmine shows up at the funeral and pays his respect to John Gotti, who accepts. The neighbor has no remorse and doesn’t even move. Butch Gotti is really losing it and she smashes the neighbor’s car window with a baseball bat and threatens him. She also wonders around the street in the middle of the night looking for Frankie. Butch Gotti spends some time in Florida and when she returns the police question her about the missing neighbor claiming he was seen being forced into a van by his work. Butch Gotti tells them that she knows nothing about that, but he deserves whatever happened to him. John Favara (the neighbor) has never been found and is presumed dead. Carmine is done with hiding the relationship with Victoria and goes to John Gotti for his approval for his daughter’s hand in marriage. John agrees, but he has got rules. Victoria has to finish college and he should treat her like a gentleman. Victoria doesn’t feel well and goes to the doctor. He says that she will need a hysterectomy by age 25, which puts a rush on starting a family for her and Carmine. At her wedding, Victoria and her dad talk. He tells her that she is making the biggest mistake of her life. The wedding is the biggest wedding of the century and is so big even Charles and Diana would be jealous, according to Victoria Gotti. (We get actual footage of the wedding!!!!) At the honeymoon in Vegas, Carmine is less interested in Victoria’s lingerie and more interested in gambling all of their wedding money. ($30,000). Victoria kicks him out of the hotel room and the voice over tells us that he is manic depressive. Victoria heads back home and tells her mom that she thinks she made a big mistake. Carmine shows up with flowers and tells her that he is sorry, but Victoria isn’t having it, instead she is having morning sickness. Victoria is pregnant and her idea of divorcing Carmine go out the window. She loses the baby and asks her dad to fix it, he tells her there is nothing he can do as she cries in the hospital bed. Cut to Victoria talking about the loss of her daughter and how hard it was for her. It is a pretty effective technique and I felt for Victoria Gotti in that moment. With only 30 mins left in the movie, Victoria Gotti finally goes blonde. (It’s a terrible wig though. Lifetime needs to hire a better wig specialist. Need I remind you about Judith Light and Christian Ricci?) Victoria gets pregnant again and her father becomes the famous mob boss, the dapper don. Carmine’s business is also booming. Everything is going smoothly, and John wins two court cases earning the nickname the Teflon Don. Victoria keeps having baby boys and even gets her own column in the newspaper. 1990, Victoria goes to her father’s trial and it happens to be the one where he gets a guilty verdict. She now lives in a beautiful house and has a lovely family, but Carmine also gets in trouble with the law. The couple fight and she kicks him out of the house. He comes back with a shotgun and tells Victoria that he won’t let her leave him. Carmine pulls the gun on Victoria in the bathtub, “as a joke”. She visits her dad in jail and now knows what she has to do. Back to the FBI on the front lawn. Victoria informed on husband and got him taken away by the feds. 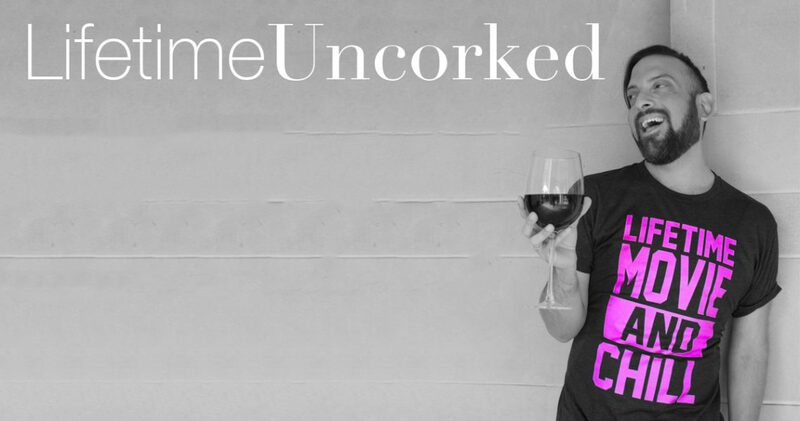 She is raising three kids on her own while maintaining her column and book deals. Victoria visits her father in jail with throat cancer and he asks her to write a book about their relationship. Her father dies and has a crazy elaborate funeral. The real Victoria Gotti tells us that she still cries every night and misses her father. He died when he was 61 and she divorced her husband Carmine in 2004. The actress in Victoria Gotti drag looks like Courtney Love.